Automatic closing of positions: Once your Equity falls to the specified EPM level, the system will automatically close all open positions*, will cancel all pending orders and will detach your account from the MAM. Managed account protection: Your account and funds will be automatically removed from the the managed program (MAM). If you wish to join the MAM again, simply click the “Join Program” button on your Client Portal and your account will join at 5pm EST. “Leave Program” Button: In addition to setting up your EPM protection level, you can manually leave the program, at any time, by clicking the “Leave Program” button on your Client Portal. This will also close all open positions immediately*. * Subject to instruments trading times. You would not be able to leave a managed program over the weekend and if the MAM has open positions on instruments which are currently not open for trading, these positions will remain open and you would need to manually detach your account once the instruments are open for trading. This is due to the fact that when market is closed there is no pricing at which your positions can be closed. EPM is set in absolute value, in your account currency. It represents the level of Equity in your account that, once reached, will trigger a stopout and will detach your account from the MAM*. E.g. If your initial deposit is $5,000 and you set your EPM at $1,000, this means that EPM will be triggered when your account’s Equity falls to $1,000, i.e. when you lose $4,000 or more. This also includes losses on open trades. You can only set your EPM after your account has joined the Managed Program. Take care when making EPM adjustments if you have open positions, as you may accidentally set your EPM at a lower level than your current equity and thus trigger it. Remember to take EPM into account when making new deposits or withdrawals. EPM is a third party trading solution. 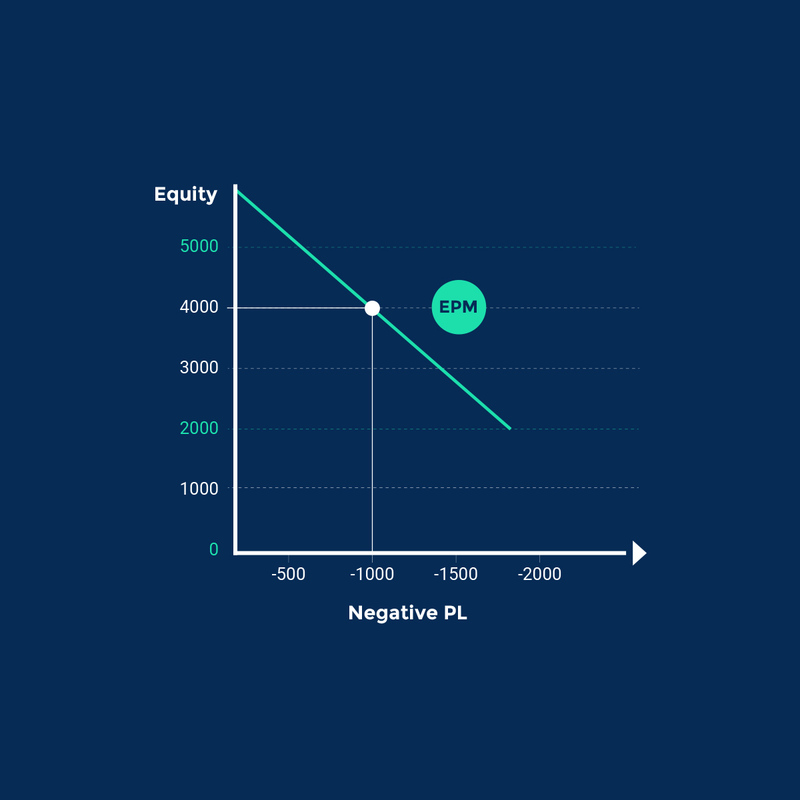 During volatile markets, your trading account may incur larger losses than the specified EPM level.